Psychologist Carl Jung said, “The first half of life is devoted to forming a healthy ego, the second half is going inward and letting go of it.” It’s not such an easy concept. Sometimes ego is a huge part of a relationship. It becomes a tug of war between spirit and emotional stability. When it comes to love, we often turn to our egos to make decisions, play the blame game, and manipulate. If you are constantly blaming your counterpart for everything, you need a reality check. 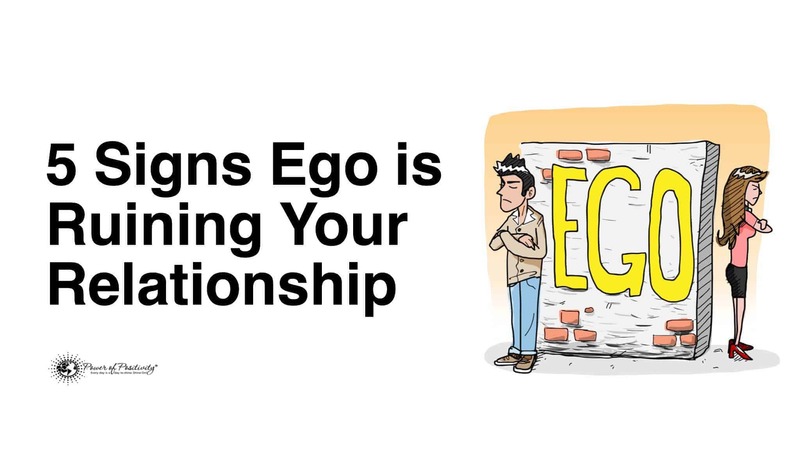 Ego is controlling your relationship and using manipulation to do it. Do you take any responsibility for your actions? Can you step aside and analyze the situation without blaming the other? The ego loves to blame and criticize. It will do everything and anything to transfer and reprimand another. Unfortunately, that which we avoid is usually what we get in relationships. When we don’t take responsibility for our actions the ego will utilize this to project onto another. 2. Everyone is better than you. Are you playing the victim card in your relationship? Do you compare yourself to your partner? Are you always putting yourself down in order to get a rise? The ego will partake in negative reinforcements rather than positive ones. It will chit chat and magnify your imperfections. If you are doing this it is definitely time to step back and recheck your relationship. You are not a martyr. 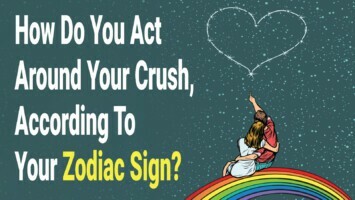 If this is a role you are fulfilling it is time to be accountable for what you are bringing to your love life. The green-eyed monster is the greatest platform for drama in a relationship. Ego feeds on self-worth and lack of acceptance. A loving relationship is based on mutual respect and awareness of another. It doesn’t contribute in the comparing, put downs and ridicule that jealousy creates. This is a drama that becomes the highest form of toxic energy in relationships. 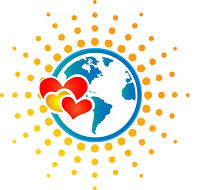 If you are in an abusive relationship, ego will keep you there through jealousies. What is causing you to entertain these thoughts? Is your partner causing you to question the relationship? This is a red flag to step back and be honest with abuse in a relationship. This sort of fear stops you from moving on and achieving any goals. When you stop yourself because of this fear you are doing an injustice to your relationship. Shifting your perception rather than being paralyzed by the ego’s anxiety and nagging is a constructive way to gain self-worth. Your ego shines when you have negative self-talk. Are you giving up your authentic truth to make another happy, as not to rub their ego in the wrong way? This is not a healthy boundary. Loving relationships are based on mutual admiration and acceptance. If you are being driven to feel rejection perhaps it’s time to analyze your commitment with this person. 5. You must have the last word. Ego has a way of turning everything about you into a one-man play. If you find that you or your partner talks excessively without asking about the other, well you are in a huge ego-driven relationship. The ego plays a wonderful role in keeping us from achieving complete peace and happiness. It is the mind’s way of controlling. It will also create scenarios that don’t exist. If you find that you must have the last say in everything, it’s time that you step back and find the root. Do you feel superior, or inferior? Do you lack self assurance and, therefore, have to prove that you are worth it? Ego has a way to disguise inferiority by over talking. If you are in a relationship that is argumentative ego might just be fueling it. Is this how you want to be loved? At any point in your relationship you must step back, breathe, and take accountability for your actions. You are your thoughts. You are your actions. If your ego is driving you to these negative challenges it is also screaming for attention. Loving another requires complete vulnerability. Let go of the chit chat and be honest with yourself and others. You get to choose your words and actions. You get to change and shift the way your relationship should be. It all starts with you!